Psalm 146-150 provides a fitting conclusion to the book of Psalms. Like Psalms 146-149, Psalm 150 opens and closes with the exhortation to Praise the Lord (Hallelu Yah), the simplest of all the expressions of exuberant praise. Six months later, Hill, a pastor at Allegheny East Conference’s Maranatha church in Fredericksburg, Va., and Penuel church in Brandy Station, Va., noticed the prayer of Eliezer in Genesis 24:12—a prayer for success. 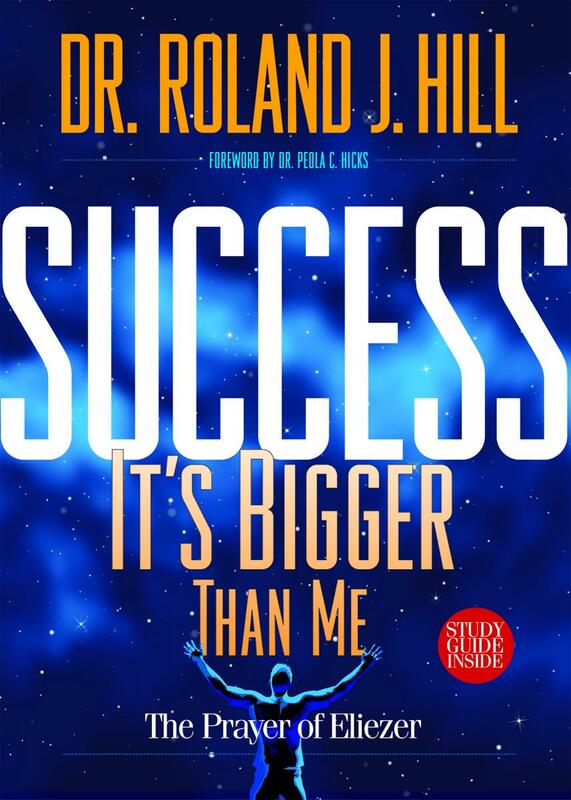 His latest book, Success is Bigger Than Me, delves into all areas of success in Christian living. The book includes an 8-week study guide designed to help readers ignite their lives and change their world, says Hill. On April 4, 2009, during postoperative care for ulcerative colitis, something went terribly wrong. My left lung collapsed, I stopped breathing and fell into a coma. Code blue was set in motion, as nurses hooked me to every resuscitation device available. Conventional wisdom pointed to a young man’s death, and it was the chaplain’s duty to break the heart-wrenching news to my parents. Dr. Heather Pulaski, a Kettering Physician Network gynecologic oncologist, recently performed the 5000th da Vinci® Surgical System procedure at Kettering Medical Center. Adventist HealthCare’s Home Health division has once again been recognized as one of the top performing home health agencies in the nation for quality care. The Home Health division has been named a Top Agency of 2017 HomeCare Elite®. This is the seventh year in a row that Adventist Home Health, part of Adventist HealthCare’s Home Care Services, has received this award, which is presented to the top 25 percent of agencies in the United States. Reading through the Bible is something we know we ought to do—but following through often proves a sticking point for many Christians in spite of all the good reading plans available. Andy Rau, former senior manager for Bible Gateway in speaking to the importance of reading the Bible every day, says, "The Bible isn't a magic book of ancient wisdom; it's a book about life and about God's love for you. Our relationship with God is informed by Scripture, and according to Jesus this relationship is what gives us life itself." The North American headquarters of the Seventh-day Adventist Church recently relocated to Howard County, Maryland, and is eager to get to know their new neighbors. A great way to do that this Thanksgiving season is inviting them to come share in our love of healthful food and lifestyles. On Sunday, November 19, from 10 a.m. to 2 p.m., they'll give away 25,000 lbs of fresh produce: bananas, lettuce, tomatoes, greens, onions, sweet potatoes and more!